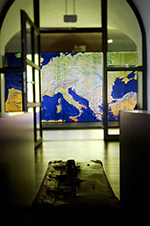 Since 2000 Danube-Swabian Central Museum (Donauschwäbisches Zentralmuseum DZM) hosts an 1.500 square metre exhibition about the history and culture of Danube Swabians. Starting with the Ottoman Wars of 17th century, the viewer is lead through the everyday life of those villages and towns between Budapest and Belgrade which were influenced by Danube Swabians. 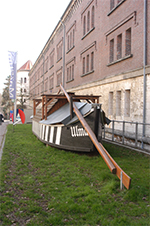 DZM shows why the people emigrated in the 18th century via the so called Ulmer Schachteln (ships, literally: “Ulm’s boxes”). They built a new life in the settlement areas of the Habsburg Monarchy. The exhibition shows the professions of Danube Swabians and their innovative agricultural techniques. In 26 sections the story of this German minority in the multi-ethnic region of south-eastern Europe is made visible through objects of everyday and work life. The cohabitation of Germans with Hungarians, Romanians, Serbians, Croatians and other ethnicities in the Danube region was a success story. However, emerging nationalism destroyed these good relations in many cases. In the museum, the history of these relations between Danube Swabians and the people in south-eastern Europe can traced in a tour. It tells the story of the life in villages, work in agriculture and industry. Here, a focus is set on cultures of living and clothing and on education and religion which were important factors of Danube Swabian culture and way of life. After World War I, the new state borders went right through the settlement areas of the Danube Swabians who then became Hungarian, Romanian or Yugoslavian citizens. After World War II, many people were forced to leave their home. They suffered from flight, internment, displacement and deportation. Many of those who stayed in the Danube region had to suffer from the communist dictatorship. At the end of the tour, the museum gives an overview of the current situation of German minorities in Hungary, Romania, Serbia and Croatia. 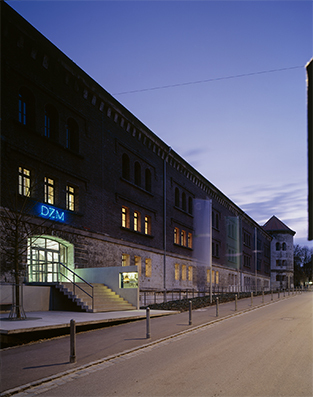 DZM is the central museum for the history of Danube Swabians in Germany. It is operated by a foundation, the state of Germany, the federal state of Baden-Württemberg, the city of Ulm and different associations of Danube Swabians. 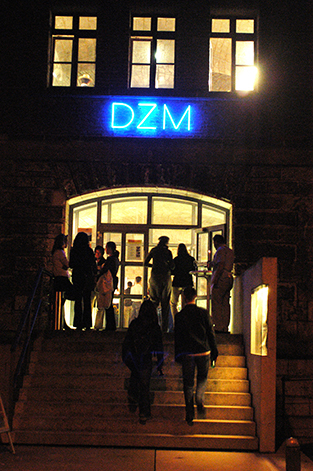 DZM is cooperating with museums in southeastern Europe and frequently shows special exhibitions. The museum often hosts events such as lectures or readings. LEFT: Last Ulmer Schachtel created by a shipmaker from Ulm. It is not meant for trade purposes but as an excursion boat. RIGHT: The exhibition tour gives much information on the history of Danube Swabians. Guided Tours: regular guided tours are held at 2 pm on the first and third Sunday of every month. No registration necessary. Further guided tours for groups can be arranged upon previous notice.